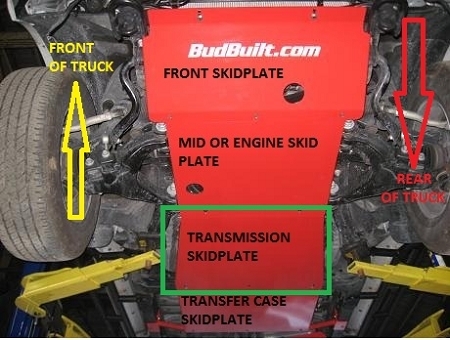 BudBuilt’s trans skid bolts on to existing mounting points with no welding or fabricating required. It is the third piece we design for the Tundra. It is made to go with the front and mid skid. It bolts up in the back to the crossmember. Recessed, flat head and carriage bolts give a nice smooth bottom. Rocks, stumps, and lesser vehicles have nothing to catch on. 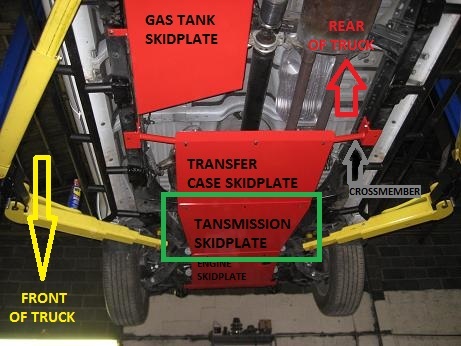 The crossmember MUST be purchased for use with the Trans Skid. 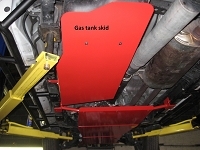 This makes the Trans Skid and the Fuel Tank Skid bolt up to the frame properly and acts as extra support when wheeling!